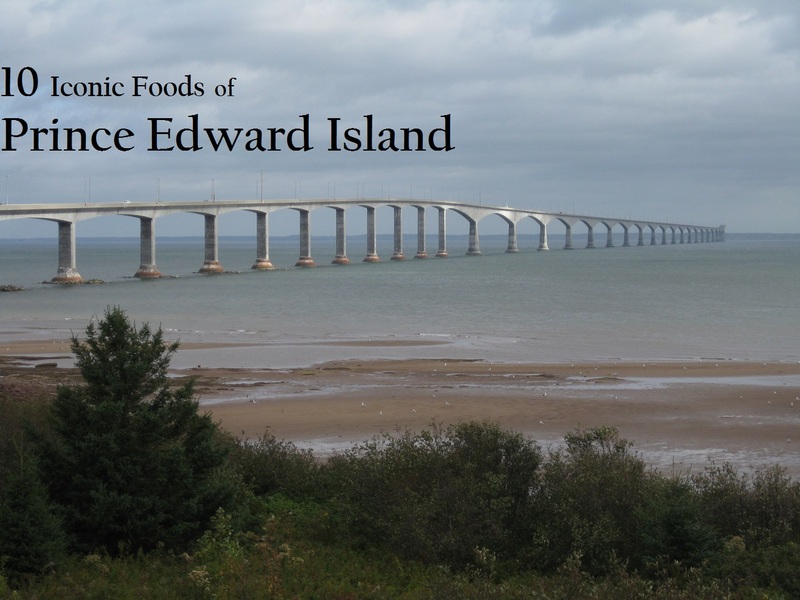 Prince Edward Island is the smallest province in Canada, connected by a 12.9 kilometre bridge over the warm waters of the Northumberland Strait. It is the Birthplace of Confederation, home of Anne of Green Gables and “Bud the Spud from the Bright Red Mud“. Confederation didn’t happen in PEI, by the way, it’s just where everyone got really drunk and decided maybe Canada wasn’t such a bad idea after all. Prince Edward Island cuisine is defined by the fresh flavours of local produce and seafood. This “Garden of the Gulf” is an agricultural paradise in the summer, growing its famous potatoes and an impressive salad bowl of fruits and veg. PEI is the perfect package of land and sea, all within its 5,660 km². These ingredients are bolstered by a culinary awareness, with chef driven creativity working alongside comfort classics. Check out the Fall Flavours Festival (Sept 1 – Oct 1) for the full island culinary experience. There is bound to be some overlap when it comes to Maritime foods, but this list will highlight the most quintessential of island fare. 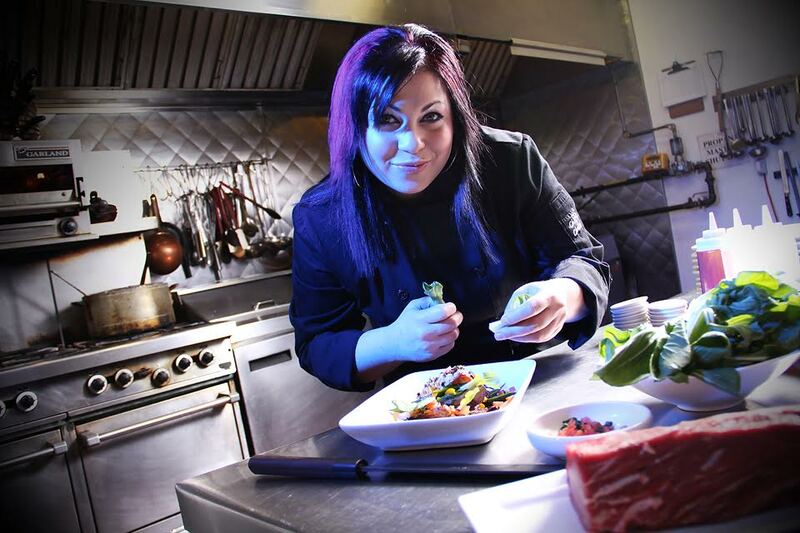 Chef Ilona is all about the love when it comes to her approach to food and life as a whole. 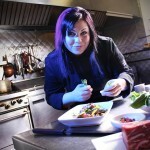 She is a a fierce culinary ambassador for PEI, as well as Canada at large. 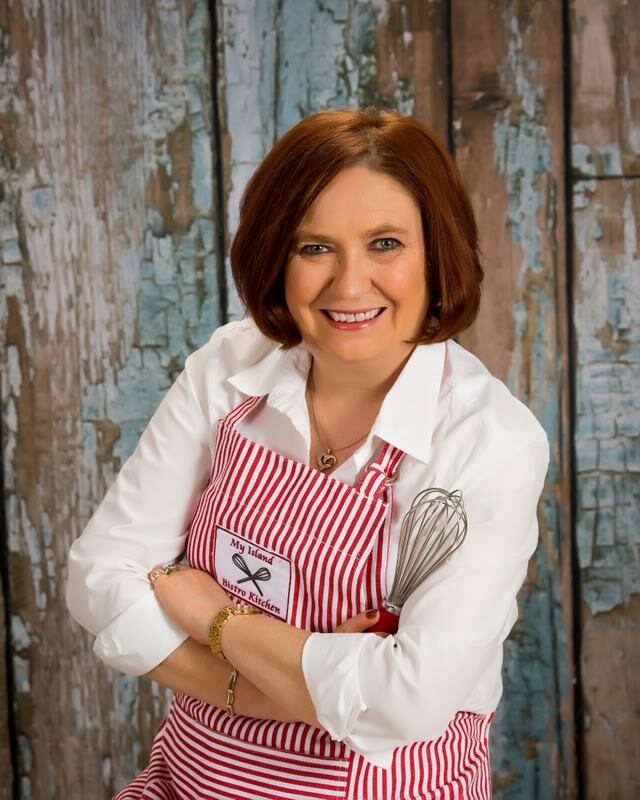 Chef Ilona is a Chef Instructor at The Culinary Institute of Canada, Feature Food Writer for The Guardian Newspaper, and Culinary Director at Upstreet Craft Brewing. “Authentic PEI dishes most often discussed revolve around our incredible shellfish or potatoes, but we also bring some serious dessert game to the table! 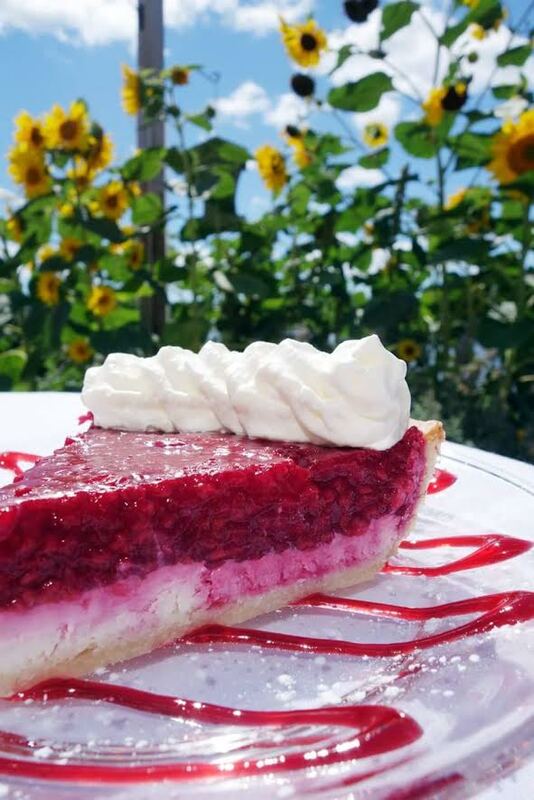 One of the quintessential Island desserts you must experience if you’re visiting PEI is Raspberry Cream Cheese Pie. This is a hybrid dessert, that is half cheesecake, and half raspberry pie; truly the best of both worlds. I’ve heard some stories in my travels around rural PEI the reason there is a pie crust involved in the pie is for its enhanced portability, and staying power at an outdoor picnic. I’m not sure whether these anecdotes have any truth to them or not, but after a bit of this pie, nothing else matters! The flaky pie crust is filled with a layer of a cream cheese custard, followed by a generous layer of fresh raspberry pie filling, and finally topped with some Chantilly cream. Perfect for a summer garden party, or at a holiday table. You can get your hands on a slice at the PEI Preserve Company throughout the summer tourism season, and I have also ordered entire pies for Christmastime. As one who has learned her lesson the hard way, order a second slice to go; best breakfast ever! 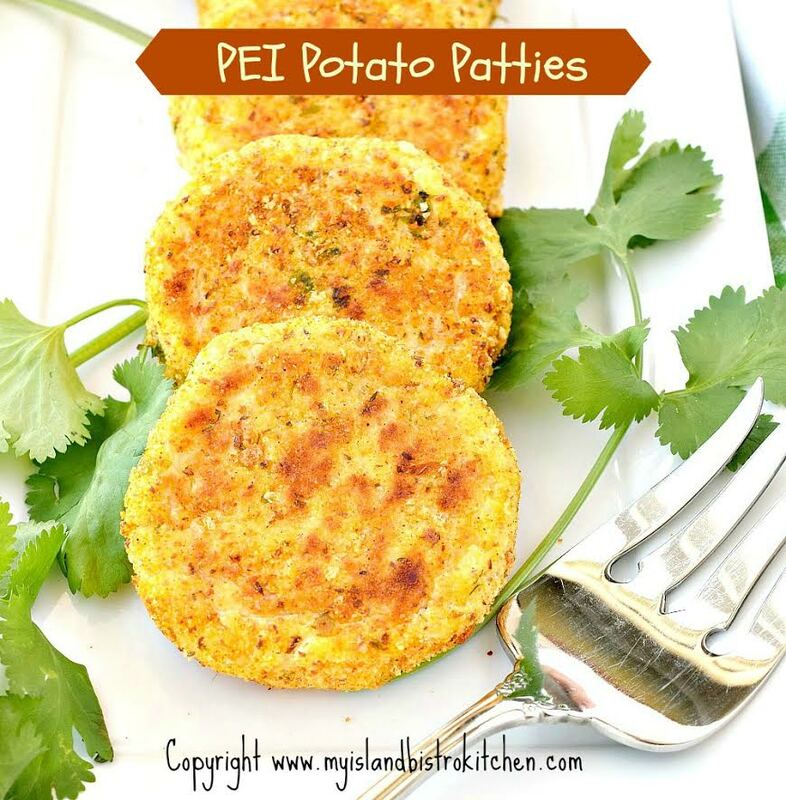 “PEI is known for many fine foods, not the least of which are our world-famous potatoes. The spuds are the primary cash crop on PEI and are worth over $1 billion annually to the Island economy. Our Island may be small but, according to the PEI Potato Board, PEI is the largest potato-producing province in Canada, producing one-quarter of all the potatoes grown in the country. The Island potatoes are shipped to over 20 countries around the world. Now, that’s no small potatoes! I think it would be fair to say that potatoes are a staple in most Island kitchens. While, in the past few years, the potato has had competition from alternative side dishes to meals in the form of quinoa, rice, pasta, couscous, etc., I think the potato maintains a sufficient enough stronghold that it will always hold a place on the dinner table. This is so because there is no shortage of creative ways in which to serve potato. One of the great things about potatoes is actually their mild, almost non-descript, flavor. This allows them to pair well with many other foods with strong flavors and it also permits other seasonings to be added to the potatoes themselves so they can be presented in new and creative ways. The versatility of the potato is well known. Potatoes can be served boiled, mashed, baked, roasted, stuffed, formed into patties, scalloped, French fries, potato salad, potato skins, fried, latkes/rӧsti, croquettes, duchess, in stews and soups and, of course, as potato chips and in a multitude of other ways. The serving of the potato is limited only by the creativity of chefs and cooks. In other words, there are endless ways to prepare and serve potatoes. I have yet to come across a potato dish I have not liked. Did You Know? The town of O’Leary boasts the Canadian Potato Museum, where you can sample various types of loaded baked potatoes or fries, potato chowder and potato fudge! There is also pie… Seaweed Pie. While not entirely unique to Prince Edward Island, this cranberry raisin pie appears in Aunt Maud’s Recipe Book: From the Kitchen of L.M. Montgomery (that’s Lucy Maud Montgomery – author of Anne of Green Gables!). It was her son Stuart’s favourite, and tends to be a Maritime favourite around Christmastime. 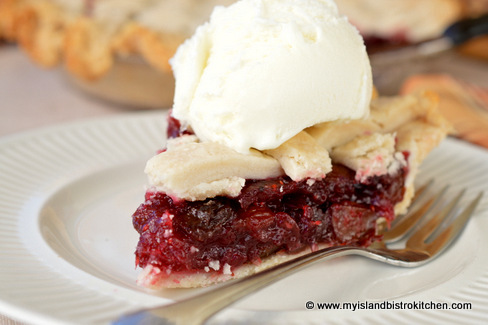 Check out the Mock Cherry Pie recipe on My Island Bistro Kitchen. PEI has been famous for its oysters ever since they were declared “best in the world” at the Paris World’s Fair of 1900. All PEI oysters are from Malpeque seed, but not all oysters are from Malpeque Bay. Traditionally it takes 5 to 7 years for an oyster to grow to market size, and they are carefully plucked by hand with tongs from a dory. 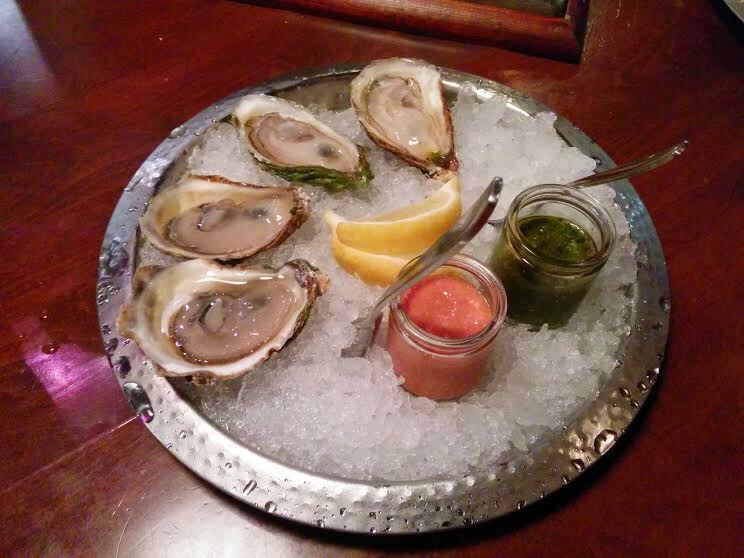 The nearby Malpeque Oyster Barn is a good place to try them! Fantastic oysters are also grown in Raspberry Point and Collville Bay. Photo Courtesy of PEI Mussels. PEI produces a whopping 80% of the mussels in Canada. These are rope cultured blue mussels harvested year round in the clean, cool tidal bays around the island. 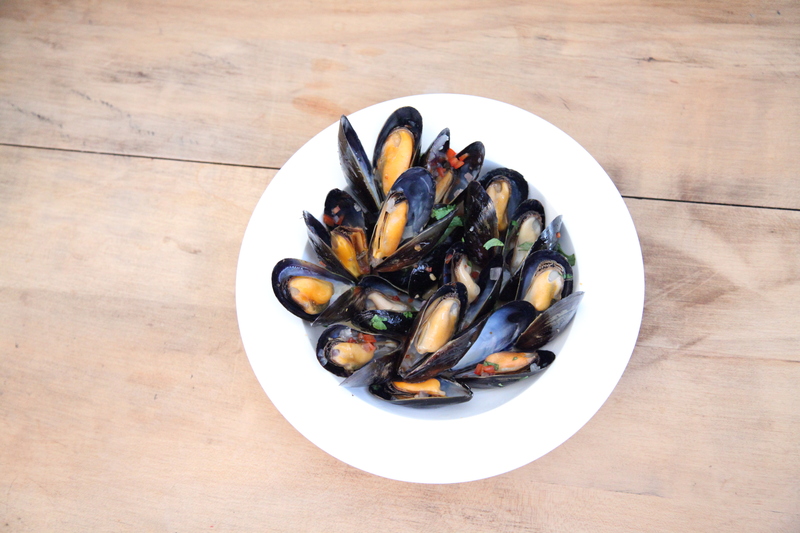 PEI Mussels are considered to be some of the best in the world. The best way to enjoy them is steamed with melted butter on the side for dipping. They are delectable when steamed in wine or beer, with shallots and/or bacon and home-made bread for sopping up the broth. Check out the PEI Shellfish Festival (Sept 14-17) to get the best of PEI seafood! Prince Edward Island is home to the famous New Glasgow Lobster Suppers. 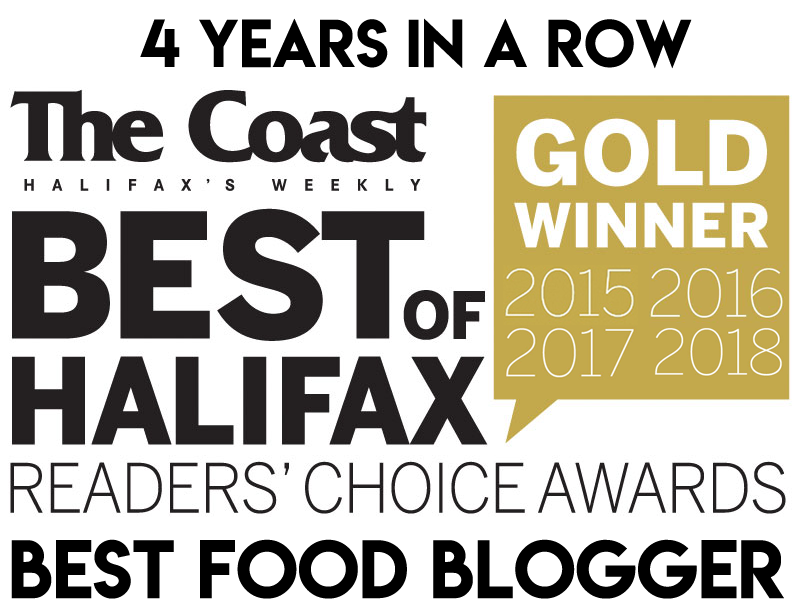 This is the real way to eat lobster – a no frills dining room full of strangers in bibs, and all-you-can-eat mussels, chowder, rolls and salad bar. 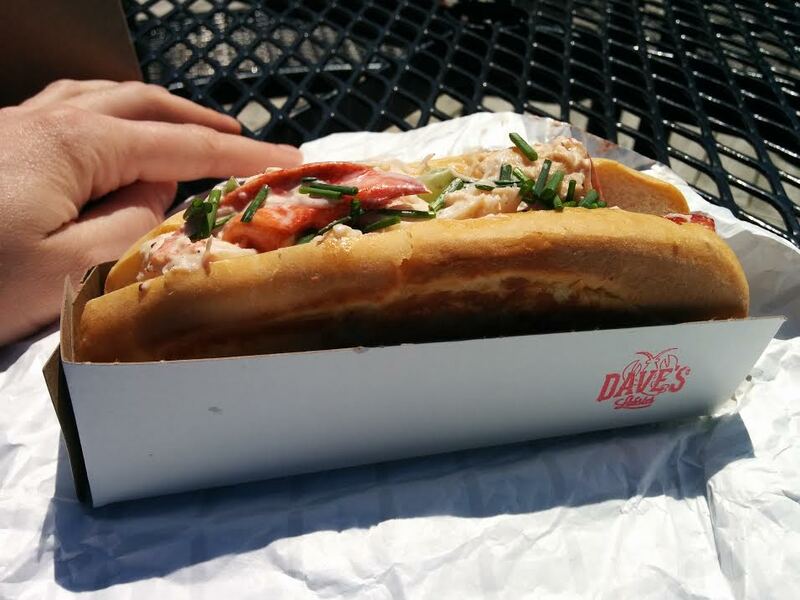 Another great way to enjoy lobster is the lobster roll. Dave’s is the big name, but everyone’s got their go-to. Island Favourites and Richard’s have strong followings. Chowder is a big deal for all of Atlantic Canada, but you will certainly find some excellent chowder in Prince Edward Island due, in no small part, to the abundance of fresh, quality shellfish only a stone’s throw away from wherever you are. 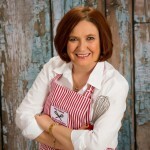 Chef Ilona Daniel recommends any of the chowders at Point Prim Chowder House. My Island Bistro Kitchen has sampled her fare share of chowder, and you can read about some of them here. 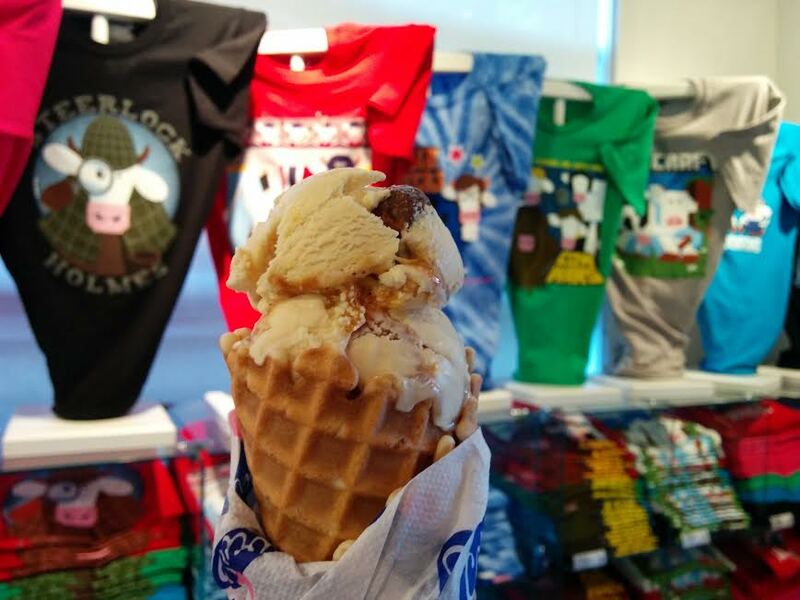 When I was growing up, no trip to PEI was ever complete without an ice cream from Cow’s and a perusal of the goofy cow-themed parody t-shirts. The smell alone of the fresh waffle cones is enough to lure all shutterbugs from the shoreline and fannypacks from the souvenir shops. Cows started out in 1983 as one shop on the Cavendish Boardwalk, and now has 11 stores across Canada and one in Beijing. 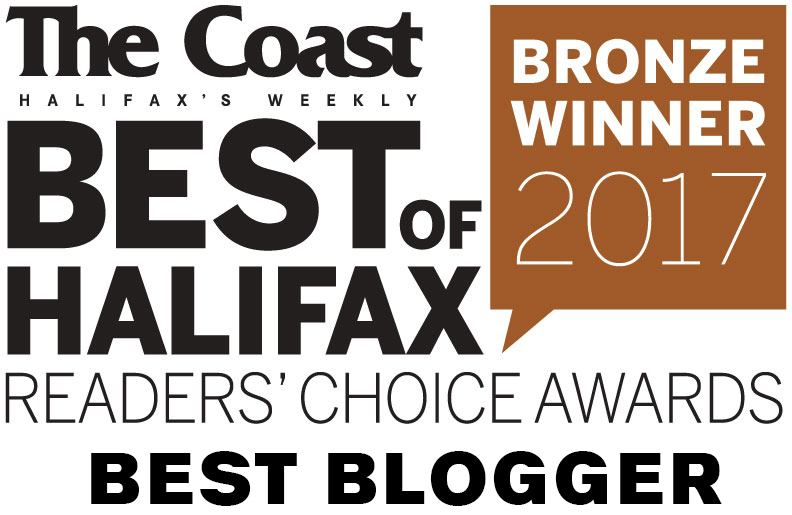 The accolades are impressive: Reader’s Digest claimed it was the best ice cream in Canada in 2006, and it ranked #1 on the “World’s Top Ten Places for Ice Cream” by Tauck World Discovery in 2008. Cows makes excellent butter and cheese as well. Their Appletree Smoked Cheddar is a thing of beauty. PEI is known for its shellfish and potatoes, but did you know they produce excellent beef? The beef industry in PEI came about from the need to rotate potato crops. PEI cattle are raised on small family lots where preventive antibiotics, steroids and hormones are never used. They are fed less grain than conventional cattle, and more potatoes! They are also allowed to age longer than conventional cattle, which results in more marbling and a nice beefy flavour. Did You Know? PEI Burger Love is a month-long festival (March 31-April 30) celebrating Island Beef and the burger creations of local restaurants. Fries w/ the works from Huntley Horizon in Alberton, PEI. The origin of this dish, by word-of-mouth accounts, trace it back to Pat’s Take-Out in Unionvale (which closed in the mid 80’s). The story goes that a customer didn’t have much money, so the cook just threw together what was left on the grill for him. Or something like that. Pat’s Take-Out is now G&E and is known as the “home of FWTW”. The dish can be found in take-outs all over the island. Don’t forget to vote below, and check out the 10 Iconic Foods of Newfoundland! 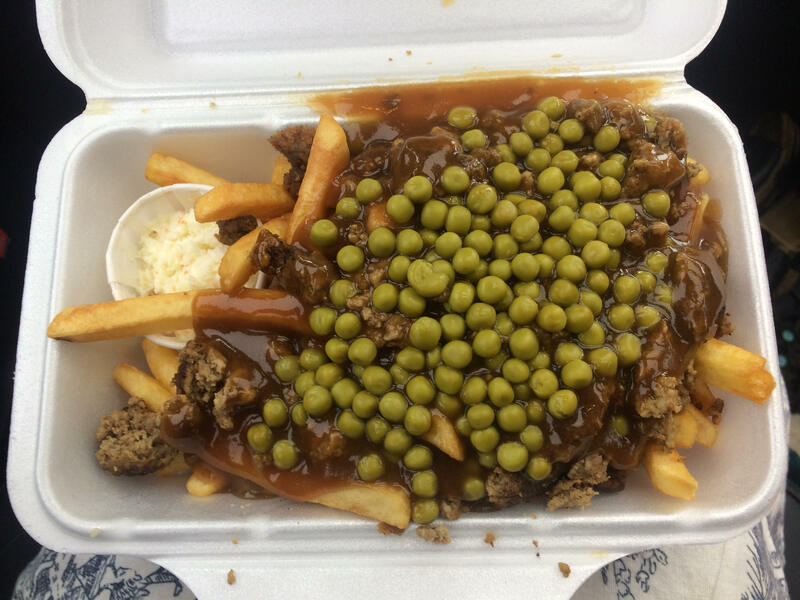 I’ve tried all of these over the years and I hated the fries with peas. Love Island Oysters and Mussels best. Great read, really enjoyed it.